Thank you for over a half million views! Since we started our YouTube channel we have had over a half million views and almost 1,500 subscribers! Thank you to all who are watching! Share our channel with your friends and future worship leaders…. 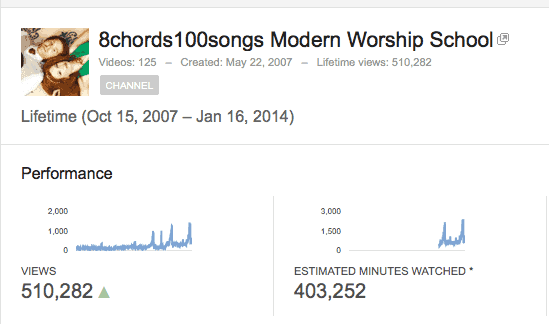 More worship guitar and piano tutorials are coming all the time for aspiring worship musicians!